What next for British buyers in Spain? The UK's vote to leave the EU 'Brexit' has caused turmoil within the British Government and beyond. For anyone considering a property purchase in Spain, it has prompted many questions. 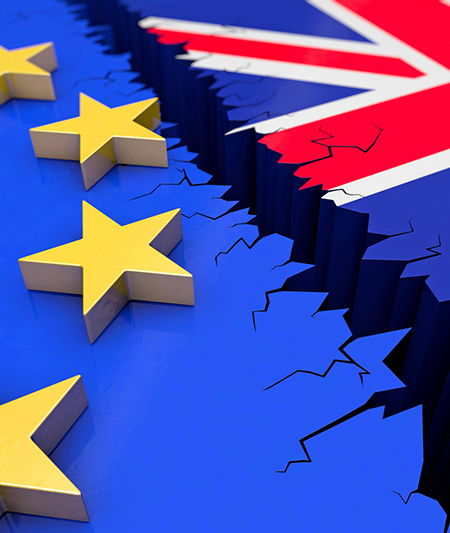 Understandably, people have questions about the safety and practicalities of committing to a property purchase in Spain, now and after Brexit takes place. One thing we can be sure of - the sunshine, sea and relaxed lifestyle are going nowhere, so it's highly unlikely people are going to suddenly want to stop buying property and living here! As it stands, the general consensus is in the event of an eventual Brexit, not a huge amount will change for British people buying or living in Spain, aside from a bit of extra paperwork. I want to buy a holiday home or relocate to Spain. Has anything changed? No, and nothing will change for at least two years. Britain is still a member of the EU and British citizens enjoy all the same rights they had before the Referendum, including the ability to live and work in Spain, own property here, and benefit from reciprocal healthcare rights. What's the likely timescale for a change? The two-year procedure for an EU member leaving the bloc only begins when Article 50 of the Lisbon Treaty is triggered. British Prime Minister David Cameron has said that will be a decision for his successor, who won't be announced until September. So the earliest we can expect to see any changes to the buying process for British people or expats residing in Spain would be towards the end of 2018. If Britain does eventually leave the EU, will we still be able to buy a home in Spain? Residents of the US, Canada, Russia and many other nationalities own properties throughout Europe, so while some rules might change, it's almost impossible to imagine a day when Brits are going to be prevented from owning property in Europe. Spain has a long history of welcoming buyers from overseas territories, who now account for 1 in 5 house sales. British buyers are important, but non-EU buyers are already extremely active in the market and they enjoy very similar rights to EU nationals - Spain and Britain would be no different to the many other successful partnerships already in place. What about being able to reside in Spain? The UK remains outside both the EU and the European Economic Area (EEA), meaning we'd have the same status as Americans or Australians. We'd be able to buy property and move to Spain, but the process would involve more paperwork and visa applications. The UK remains outside both the EU and the European Economic Area (EEA), but Spain introduces new legislation granting Britons the same or similar rights to those we currently have as EU citizens, so nothing really changes. The UK remains outside the EU but stays in the EEA, known as the 'Norway option'. This would give us the same automatic rights to buy, work and reside in Spain as we have now - Swiss citizens also have this status. So what should I be aware of? Depending on the strength of the Pound, Spanish property could be more expensive for UK buyers than it was before. At the moment the weaker pound means a €100,000 property could cost you approximately £5,000 more than it did earlier this year. But rates change. In fact, compared to less than three years ago, the exchange rate is actually more favourable to British buyers - the Pound spent the summer of 2013 below €1.18. Stay calm, and stay informed! As the popular Spanish property website Kyero announced this week, “Brexit is a slow motion phenomena” noting that website visitors from the UK had dipped just a tiny 12% since the referendum - and they suggest demand for property might even rise over the next two years as people rush to beat a treaty change. Keep an eye on this page. We'll be updating you with how the referendum situation in the UK might impact buyers in Spain, and providing honest answers to all your questions as and when we have more information and facts.